Nature is beautiful and so is black metal. 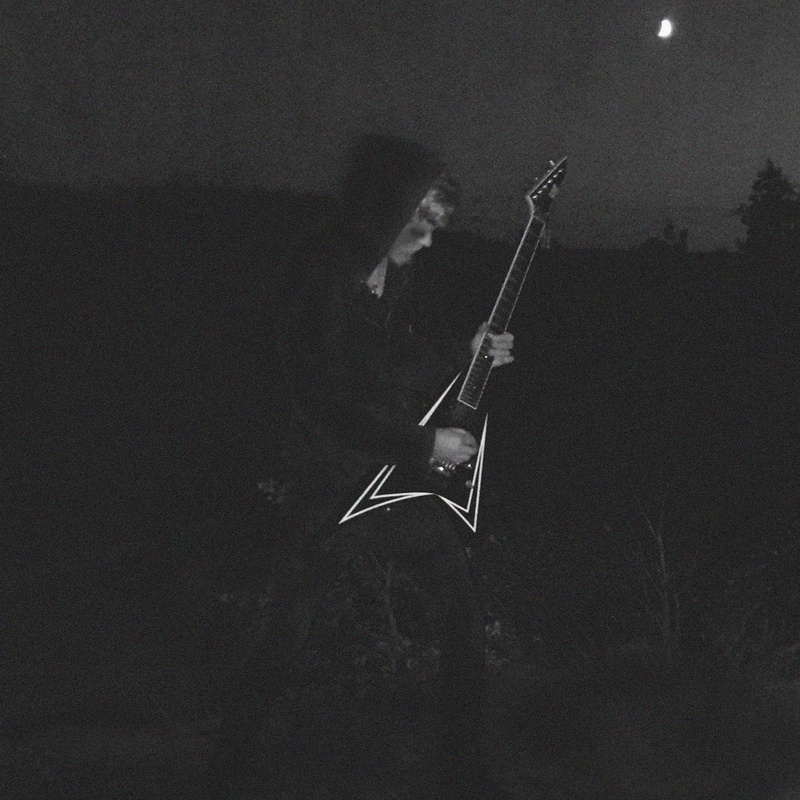 Eldamar are one of the many one-man black metal projects out there. That man is Mathias Hemmingby and he hails from the frosty region of Askim, Norway. The black metal he crafts for Eldamar is of the atmospheric/ambient variety with songs about nature, Heathenism and Tolkien. He burst on the scene in 2016 with the brilliant The Force of the Ancient Land and now, over a year and a half later, he has come back with a follow-up, A Dark Forgotten Past. So what do Eldamar have in store for their sophomore effort? As is typical of Eldamar and much of the genre, the riffs on here are pretty lo-fi with a bit of power added for good measure. They are not very fast at all so you can pretty much hear everything Mathias is doing with the riffs and the guitar melodies. It is nothing terribly complex but listening to these songs, you feel the riffs have purpose and actually drive the songs as well as adding depth to them. As you might expect though, the melodies are the main focus of these songs. Although there are not a ton of memorable individual guitar melodies, each riff is packed with plenty of melody. That said, there are a few melodies that stand out like the one that closes “In Search for New Wisdom,” which is both beautiful and calming. It also segues perfectly into the wonderfully peaceful “A Secret by the Branches,” which truly makes you feel as though you are in a forest in some far-off place with just your thoughts for company. The drums are somewhat slow as well. They do occasionally speed up for short bouts of harsher, more extreme black metal but most of the time, the drums move the songs along at a nice, steady pace. This helps create the desired atmosphere for Eldamar, one of serenity in the forest with a warm and pleasant black metal soundtrack inspired by nature and the works of Tolkien. There are some really nice cymbal moments throughout this album amid the mid-paced blast beats and the fills are solid. The closing track, “New Understanding,” has a handful of particularly standout moments for the drums, including the sequence that starts around the 4:50 mark. Drums are not the focus when it comes to Eldamar but Mathias certainly does a good job with them. 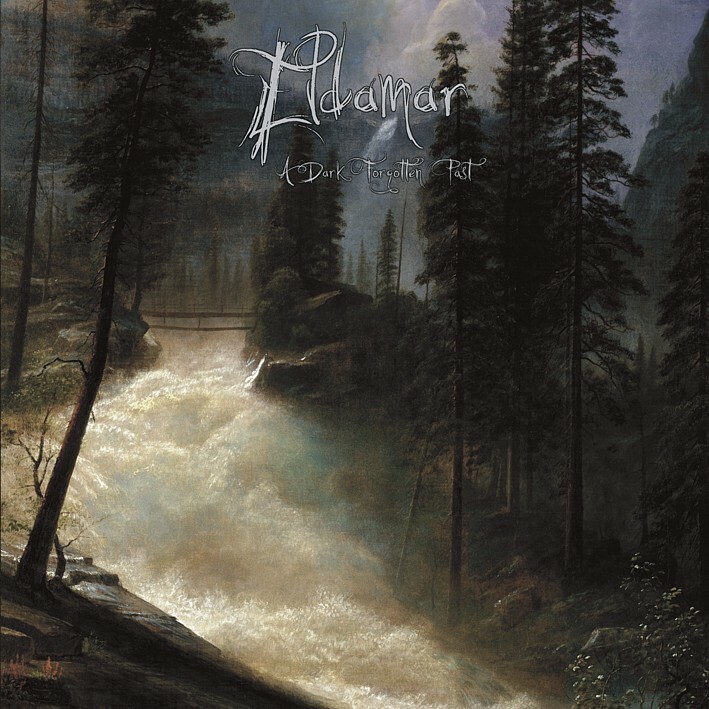 As with most atmospheric/ambient black metal bands, the lush soundscape of Eldamar is anchored by brilliant keyboards and orchestrations that evoke a very pleasant feeling that reminds you of nature’s beauty. Mathias does an excellent job of varying the tones between the electronic sounding ambient keys and the lush, atmospheric orchestrations that make Eldamar stand out among their peers. Sometimes, the keys sound like a bell choir performing a patented routine with the various tones emitted by all the different bells like in “Another Journey Begins” and “In Search for New Wisdom.” This brings an element of warmth to Eldamar’s music and makes them unique in this style. Mathias’ harsh vocals are of the echoed scream variety and you cannot understand any of the lyrics, which is okay since the lyrics do not matter much with Eldamar. It is all about the music and the atmosphere it creates so even though the lyrics are inspired by Tolkien and nature, they are of little consequence. His vocals are often done in long screams as they are mostly there to enhance the atmosphere Eldamar attempts to create. Think of it like a distant, shadowy voice that comes from above every so often to help you on your journey. Mathias only gets really harsh for an extended period of time on “Ancient Sorcery,” which feels more like a warning of a coming evil than anything else. Plus, it is accented with an almost angelic voice much of the time, showing that although the danger is real, it will pass and you may continue on your woodland journey. At the end of the day, what Eldamar have put together here is a wonderful follow-up that stands out as being in the top-tier of atmospheric black metal albums in 2017. It is by no means a perfect album. Indeed, there is still a bit of room for improvement in certain areas. However, it is a very strong album that shows why Eldamar should have a long and successful career making beautiful woodland black metal for those of us who enjoy it. This entry was posted in Black Metal, Featured Review, Reviews and tagged 2017, A Dark Forgotten Past, ambient black metal, atmospheric black metal, Eldamar, featured, J.R.R. Tolkein, Northern Silence Productions, norway.